As International Women’s Day approaches, I wanted to mention a short book, adopted from a TEDx talk that you could read to reflect on what feminism means in this #MeToo age. Chimamanda Ngozi Adichie is an award-winning novelist from Nigeria and she wrote We Should All Be Feminists. 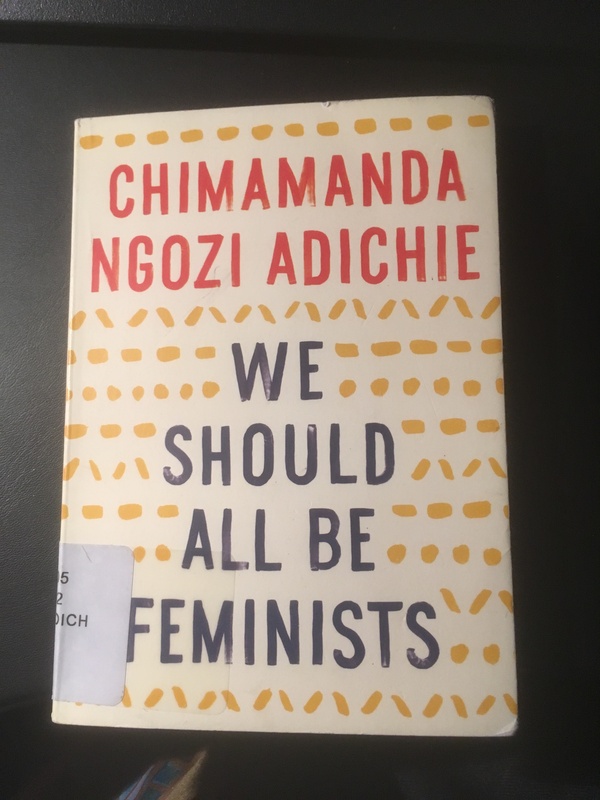 Adichie argues that “Boys and girls are undeniably different biologically, but socialization exaggerates the differences.” (p. 35) If socialization exaggerates the differences in North America, this experience is even more extreme in Africa and this has clearly shaped Adichie’s narrative. In fifty brief pages, we can review some of the most important challenges facing the gender equity movement and contemplate how to continue to move forward. Of all her messages, the strongest is that we must continue to raise both men and women differently. I believe that we are all trying to do this, and the evidence is that we are mostly successful. Feminists, female and male, are not the only people trying to raise our children, however. There are many individuals and organizations around the world, with access to our children via media and social media, who are also influencing our youth. Many of these are seeking to maintain the status quo. Why even our culture, as Adichie points out, gravitates to the status quo all around the world. In this week leading up to International Women’s Day, find Adichie’s text or TEDx talk. Contemplate the role you have played in improving women’s lives, and then keep going. There’s still a lot of work to do, but I hope this little book will renew your energy as it did mine. ← Will More Beds Make A Difference in Youth Mental Health?